Award-winning, 5 star, luxury self catering holiday cottages set in the heart of the Northumbrian countryside. Ideally located for walks & cycling in Northumberland National Park whilst just a short drive away from sandy beaches of the North East coast. Indulge in ultimate luxury in the internal swim-spa pool & jacuzzi of this 5 star self catering holiday cottage. Enjoy romantic Northumberland views from this luxury cottage’s private outdoor hot tub or relax in the internal infared sauna. Plan a romantic getaway in this self catering holiday cottage. This luxury cottage features a hydrotherapy bath tub. This enchanting 18th century coach house, converted into a holiday cottage, is the quintessential Northumberland destination. Get cosy by the log fire or dine in the secluded garden during a family holiday in this traditional dog friendly self catering cottage. Experience luxury self catering in this 5 star, dog friendly holiday cottage which features incredible Northumberland views. Treat the family to a holiday in Visit England’s top-rated luxury holiday cottage, located in Northumberland National Park. A delightful Northumbrian family holiday awaits you in this three-bedroom luxury holiday cottage which is also dog friendly. 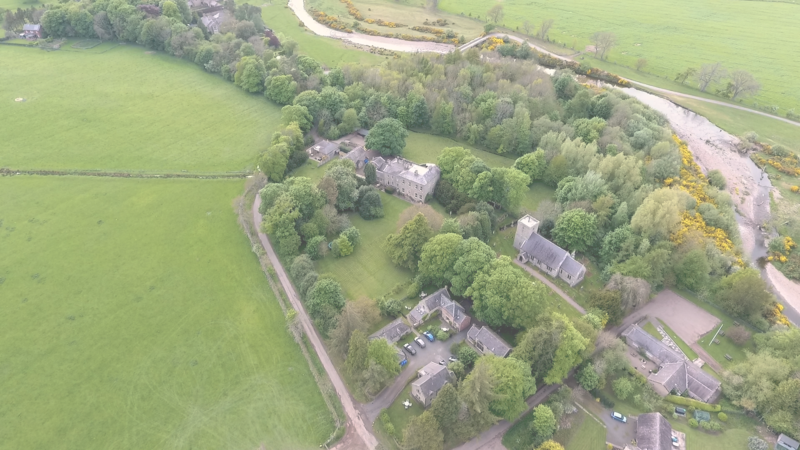 Graham and Trysha moved to this special quiet corner in the Northumberland National Park 20 years ago and began to carefully develop and nurture a holiday cottage business within the secluded 4 acre grounds of their former rectory – such an idyllic and unique setting. The couple are unobtrusive though always pleased to ensure a warm welcome and deal promptly with guest needs. What a beautiful place to stay!! This is our first visit to Cheviot Holiday Cottages but will certainly not be our last. We have loved every moment, from first enquiring we received a very quick response to our warm friendly welcome when we arrived. Trysha is a fabulous cook and would thoroughly recommend trying the pizzas and her delicious crumble! Wow! Its almost as if we've been holding our breath since leaving the A1 and heading up the A697. Nothing could have been any nicer during our fabulous week, our first in Northumberland. The people, the places, the cottage and even the weather have been absolutely perfect. We have to agree with at least one previous comment about the delightful lack of traffic. We didn't think anywhere like this still existed in England. One week is nowhere near enough to even scratch the surface, so we will certainly be back. Very rarely do you find somewhere you feel deserves more stars than its been awarded. This is a real gem of a place - well done Graham & Trysha and thank you for making it all possible. Located in the tranquil Breamish Valley on the edge of the Cheviot Hills & Northumberland National Park, you will experience the freedom, space & seclusion of this dramatic wide rolling borderland, yet it is still central for exploring both the coast & countryside of Northumberland. The best beaches in Northumberland for your pampered pooch!